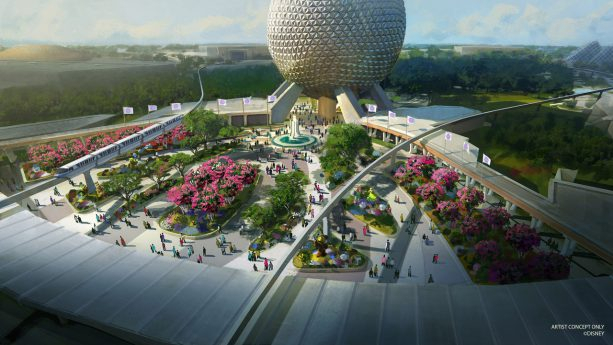 As the multi-year transformation of Epcot continues, today the Disney Parks Blog announced two new projects coming to the park: a new play pavilion coming to the former Wonders of Life along with a new entrance and experience. 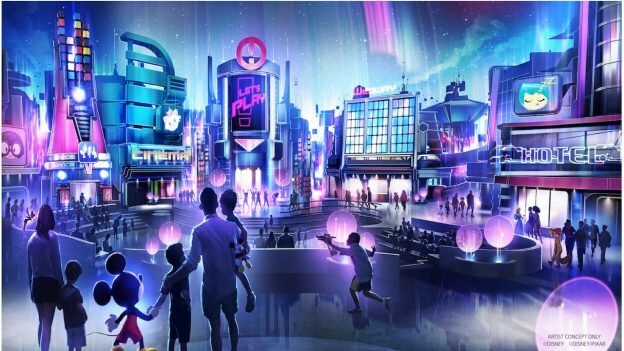 These experiences will be located at the former Wonders of Life pavilion, which has also served as a festival center in recent years. The plaza will welcome guests with new pathways, sweeping green spaces and a newly reimagined fountain. This new design will pay homage to the original park entrance with fresh takes on classic elements. As part of this new entry experience, Leave A Legacy photos will move just outside the park’s gateway. A new Experience Center will act as a preview center in the recently remodeled Odyssey Events Pavilion. 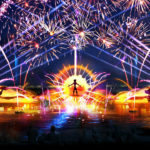 It is unknown what impact it will have as a “Festival Center” during the park’s seasonal events. 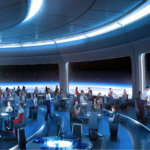 Guardians of the Galaxy Roller Coaster: This new experience will be one of the longest enclosed roller coasters in the world and feature a brand-new ride system when it also opens in time for the Walt Disney World Resort 50th anniversary. 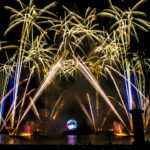 New Nighttime Spectacular: Celebrates the global impact of Disney music. 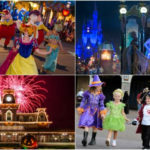 For updates on these projects and other experiences coming to Walt Disney World, be sure to check out our Project Tracker.